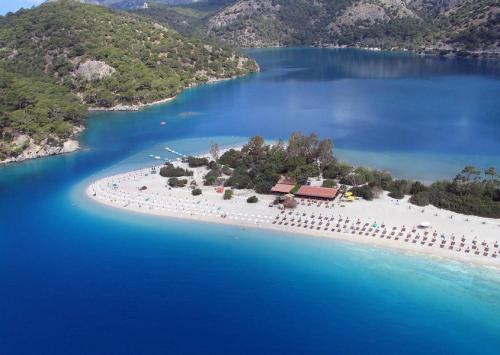 Last minute Turkey: 1 week in 3* hotel with breakfast, flight, transfer for €102! The prices of holiday packages to Turkey are dropping every day and now we have another incredible deal for you. 1 week stay in 3 star hotel in Turkey with breakfast, flight from Berlin and transfer from/to airport is available for only €102! You can also fly from Dresden (€137), Leipzig (€139) or Düsseldorf (€156). Best Beach Hotel is located directly in center of Alanya, popular resort on Turkish riviera. There’s plenty of restaurants, shops, cafes and nightlife just meters from the hotel and beach is not far either. Price is valid for 2 people sharing double room. Book fast here (in German, use Google Translator). « Super cheap vacation in Turkey: 7 days in hotel, flight, transfer for €110!